Flip a coin until you get tails 10 damage done times the number of heads. The defending Pokemon is now confused. 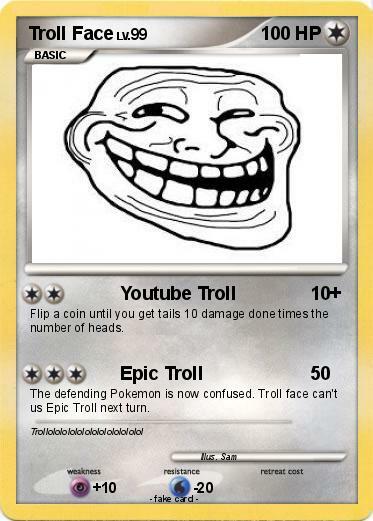 Troll face can't us Epic Troll next turn.